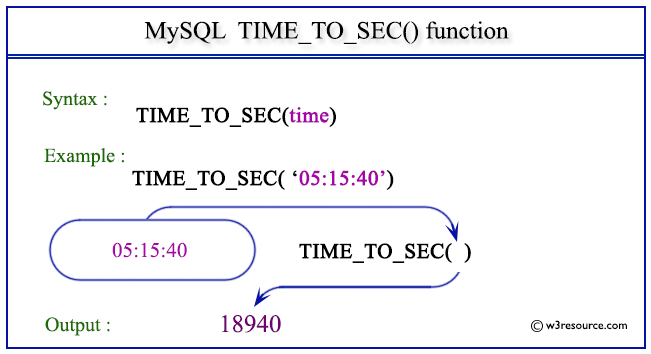 MySQL TIME_TO_SEC() converts a time value in to seconds. Where tm is a time. The following statement will convert the specified time 05:15:40 in seconds.